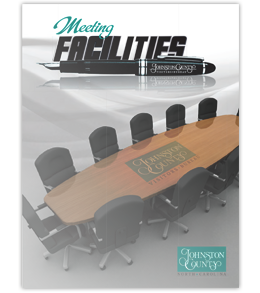 Meetings|Download Guide, Johnston County, NC. This comprehensive publication provides important details on our meeting and event venues that will assist you in organizing your upcoming event! download the Meeting Facilities Guide.